Today’s society depends so much on metal-based products. From major structures like pipelines, HVAC systems, and boilers to small and mundane items like deep fryers and espresso machines, all of these depend on metal. However, people tend to take them for granted and don’t understand how these equipment are made and maintained to keep them working at optimal levels. There are various methods to test metal and stainless steel products and ensure they’re safe to use. One important method is hydro testing. Every machinery and pressurized containers like gas pipes, boilers, and fuel tanks have to be tested to ensure quality and safety. One way to check the integrity of these metal systems is through hydrostatic testing. 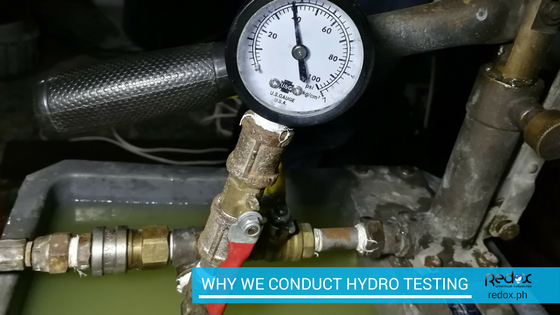 Hydro testing is the process wherein these elements are checked for leaks and tested for durability and strength. This test is mandated after a machine or plant has been repaired or shut down in order to certify that the equipment will continue to work well once returned to service. During this test, a segment of the pipe or vessel is filled with any type of liquid. Water is typically used since it’s readily available and cheap. The incompressible liquid is then pressurized until it reaches a pressure 1.5 times higher than the unit’s standard pressure limit. This pressure is then held for a certain duration to give inspectors time to visually look for leaks. Fluorescent dyes could also be added to the liquid to make it easier to see leaks. Gas pipelines rely on hydro testing to test and confirm the structural integrity of the pipe system. Since the test subjects the pipes to levels higher than what the components will experience during actual operations, the company receives crucial information regarding the system’s safety margin. It also allows for the company to identify weak points and provides them with a chance to repair the pipe before it’s laid down and used. Hydro testing can also utilize along with descaling to improve stainless steel surfaces. Mixing an appropriate oxidant, like a nitric acid solution, with hydro testing liquid to passivate the steel surface makes it possible to enhance the system’s corrosion resistance. This is particularly useful when a passivation treatment has not been applied to the steel surfaces yet. The treatments demand that the steel surfaces be pretreated so that it’s basically free of grease, oil, rust, scale, and other foreign substances. 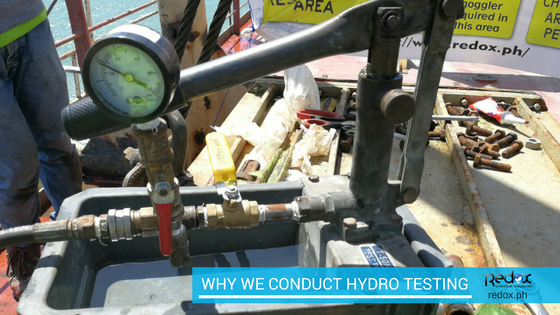 Hydrostatic testing is one key method to ensure that our boilers, power plants, gas pipelines, and other metal systems are safe before they are installed and start operating. It can also be utilized along with other treatments, like descaling, to improve steel surfaces and make it safer and more beneficial to use.